Stashia Cabral teaches a variety of Drawing, Painting, Sculpture, and Crafts topics as well as AP Studio Art. Stashia is a National Board Certified Art Teacher, and currently there are only three people that have that special certification in all of Oregon! 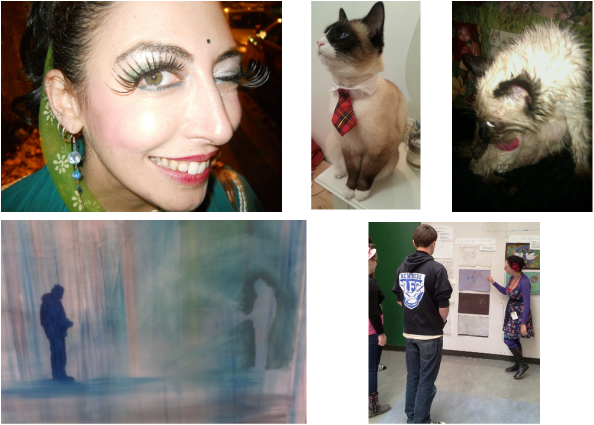 She lives with two ridiculous cats and makes drawings, paintings and costumes. She's really fun, and funny! She loves crazy teenagers, and she loves helping people figure out how they can make fabulous and exciting things! 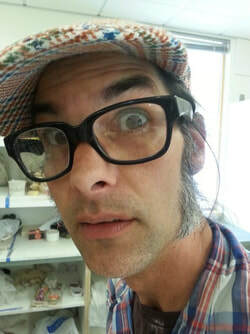 Dan Evonuk teaches Ceramics, Drawing, Painting, and Sculpture. He lives on a farm where he grows hazelnuts and works at NHS where he grows brilliant, creative students. He's a painter, potter and awesome printmaker. He's overjoyed to teach you how to make anything you're really into. His amazing wife panted the portrait to the right! MICHAEL MARTIN teaches Sculpture, Drawing and Painting!